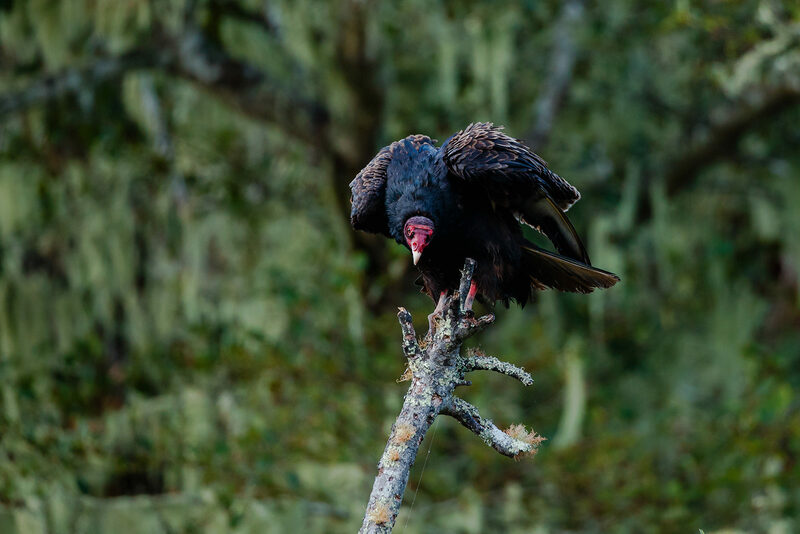 On a recent trip to Point Reyes National Seashore we came across this Turkey Vulture preening in the early morning shadows. To me it was a perfect opportunity to capture this often maligned creature, who provides such a vital role as custodian of the Wild. I love the eerie backdrop of moss and the dark spiderweb effect of the branches. It conjured images of a Gate to the Underworld.